A nine-month, million-dollar repair project has finally addressed nearly 140-year-old leak in the historic dome at Memorial Hall in Fairmount Park, the home of the Please Touch Museum. The dome will be lit at night. How long could you deal with a leak in your roof? A few days? A month? That's how long rain seeped through the dome of the Memorial Hall in Fairmount Park -- that is, until this past year when the leak was finally plugged. The Please Touch Museum, which is the current tenant of the historical building, announced the completion of the fix Monday. Philadelphia-based KSK Architects Planners Historians Inc. oversaw the work. The same firm found that the leak in the roof sprang shortly after it was built in 1876. Thanks to a $1.125 million grant from the city of Philadelphia, the long-overdue maintenance eases concerns about future damage to the building that has been home the museum since 2008. Once the glass was replaced, workers resurfaced the entire 8,000-square-foot dome, including all of the glass, with a membrane-like water-proofing sealer called Sikalastic 621TC. They also used that same material to cover the four sculptures that surround the dome and the one on top. So, why has the fix taken so long? A 1992 story in the Philadelphia Inquirer cited several park officials who wanted to plug the leak in the building, which was built and used as an art gallery for Philadelphia's Centennial Exposition of 1876. The problem then, however, is that there wasn't a use for the building at the time. It was used scantily at the time, mainly by the Philadelphia Orchestra as a practice hall, but wasn't utilized much other than that. 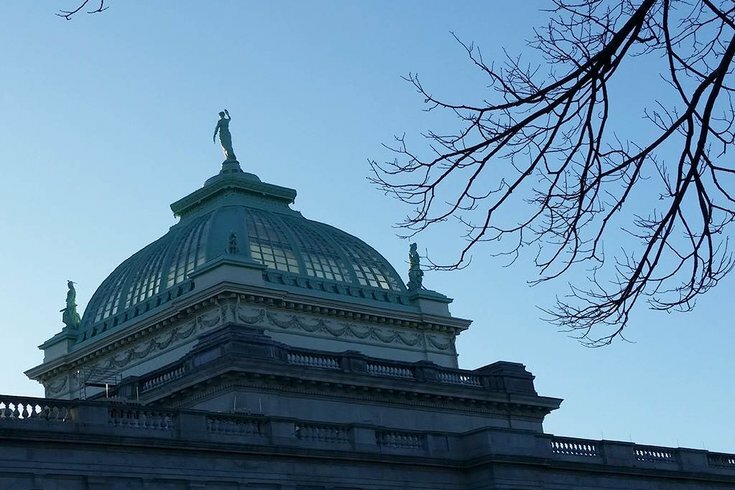 Now, with the recently saved Please Touch Museum using the hall, the leak has been fixed, and in addition to preventing water damage, drivers on the Schuylkill Expressway will be better able to see the dome when it's lit up at night.